IN mid-August 2018 news broke that lethal injections had been given to three children in Belgium between January 2016 and December 2017. The children were aged 17, 11, and 9 – the latter two being the first cases of euthanasia administered to a child under the age of 12. 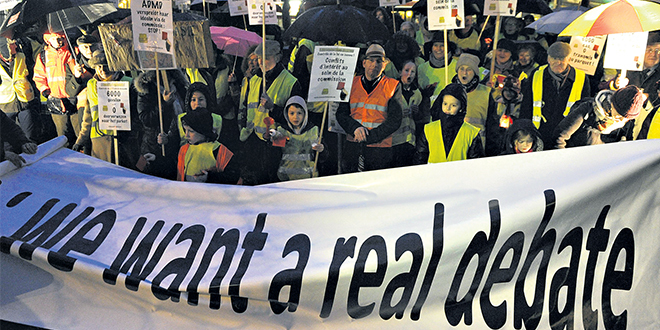 Belgium, a country with one of the most liberal approaches to assisted dying, amended its law on euthanasia in 2014. The revised law authorises physicians to kill a child of any age who requests death (although parents can countermand that request). Belgian doctors have now taken the step from providing assistance with suicide for the terminally ill, to deliberately killing a person whose life is simply deemed not worth living – and they are the first (as far as we know) to have killed children. Proponents of euthanasia in Belgium insist children are individuals who have the same capacity for making decisions as adults. Denying children the freedom to choose euthanasia because of an arbitrary age limit is, they say, discriminatory. Even now that children are put to death, support for euthanasia remains undiminished in Belgium. And in the Netherlands – which also has a very permissive euthanasia law – it is not just popular support that remains strong. Demand for euthanasia is rising sharply with figures showing an eight per cent increase in euthanasia and assisted suicide in 2017. This has prompted a stark warning from Theo Boer, a Dutch bioethicist, who initially supported legalisation of euthanasia in the Netherlands. “Supply has created demand,” Boer said in The Guardian in 2018. “We’re getting used to euthanasia, no longer speaking about the exceptional situations that the law was created for, but a gradual process towards organised death. “A border is being crossed between individual empathy and societal acceptance. Just such a culture of euthanasia now threatens to take hold in Australia where public support for assisted dying remains strong. A Newspoll conducted for The Australian in August 2018, for example, found that 79 per cent of those surveyed were in favour of amending the law to allow physician-assisted suicide. Only 15 per cent were opposed. Yet evidence from jurisdictions where euthanasia and assisted suicide are lawful clearly indicates that the confidence Australians have in proposed legal constraints intended to regulate practice is misplaced. Once euthanasia is made available to certain specified categories of “suffering” people, demand for wider availability of euthanasia and assisted suicide will certainly grow. That is because suffering is an ungovernable criterion. An individual’s claim to be experiencing unendurable suffering will be hard to contest because such a claim is an entirely subjective judgment. The categories of suffering are bound to expand as increasing numbers of people seek – and demand – relief from suffering by means of assisted suicide. This demand will be based on aggressive claims about rights. But “rights” involve obligations owed by, and to, individuals. Acknowledgement of the many responsibilities those mutual obligations place upon us is a determining factor in the health of civil society. The absolutist claim to autonomy sits uneasily with the basic principles and requirements of civil society because a deliberate and voluntary act of suicide, whether with assistance or by euthanasia, amounts to a repudiation of those mutual obligations and their associated responsibilities. We do bear a general duty to relieve the suffering of others — but not at any such price demanded by the autonomy absolutists. Demands for legalisation of assisted suicide and euthanasia in Australia amount to a one-way ratchet effect in asserting the primacy of autonomy. But these demands need to be resisted because of the impact such autonomous choices will have on the wider society – on family, friends, the local community – in which we live. We must also resist arguments made by euthanasia proponents that none of these considerations can ever outweigh the supposed primacy of individual choice; indeed, it is these very considerations that must override assertions of individual autonomy. The span of human life is short, and death is certain. It is up to us to decide how we use our time, but we have a limited number of years in which to make something of ourselves and to create lives that express meaning and purpose. The legalisation of assisted suicide and euthanasia in Australia will enshrine in law a rejection of the duties we owe to others and of the claims others have upon us. As such, it poses a threat to the social, legal, and cultural norms underlying civil society in Australia. 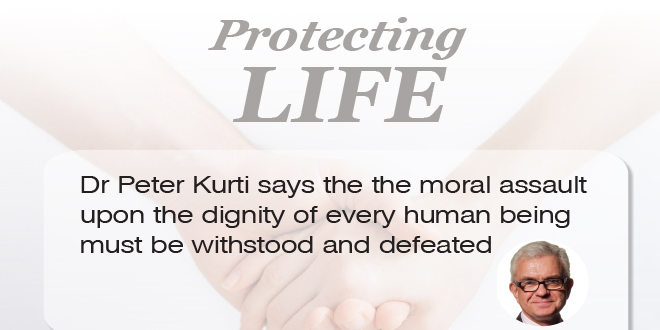 This moral assault upon the dignity of every human being must be withstood and defeated. Email your response to careinquiry@parliament. qld.gov.au.